If ALDI is all but unknown west of the Mississippi River, Chicago and Germany, the unique, and much-beloved, high-quality, low-cost supermarket is planting its flag next month at Escondido. An ALDI was springing up at 1330 E. Valley Pkwy. #M, Escondido, CA 92027 with a grand opening open house scheduled for 9 a.m. to 9 p.m. Thursday, Dec. 15. The first North County Aldi opened in May at North County Square Square next to the Walmart Supercenter in Vista, 1750 University Avenue. 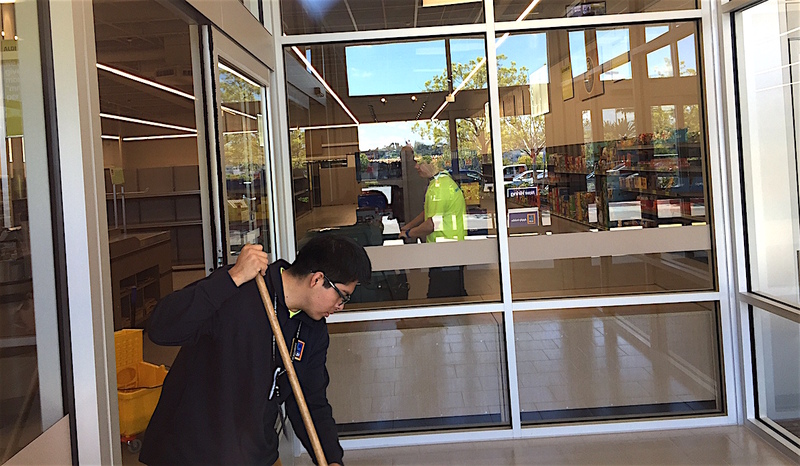 A Chula Vista store opened Nov. 18. This is a big deal in the world of local grocery shopping. German-founded, no-frills ALDI has generated a cult-like following at its 1,500 stores in 33 states. Known for self-branded inexpensive, high-quality groceries, the brand is an icon across Europe. Costs are kept low by limiting selection to most commonly sought groceries through its own brands. The Albrecht family that operates Trader Joe’s now operates ALDI through a family trust. As befitting the German image, and bottom line, costs also are kept lower through increased efficiencies. Shopping cart costs as cut down by requiring customers to pay a 25 cents deposit to use one. That means store personnel doesn’t have to retrieve carts from parking lots. Shoppers must pack their own groceries. Best-selling products often are left on shipping palettes instead of stocked on shelves. Fix-up, set up at ALDI Vista earlier this year. ALDI rolled out six Los Angeles County and four Orange County stores on April 21 to go along with another 10 opened in late February and March. “California customers who are new to ALDI might not recognize our brands, but they definitely will recognize the great taste and quality, and will love our everyday low prices,” Gordon Nesbit, Moreno Valley division vice president for ALDI, said. Scene at a Chicago-area ALDI. 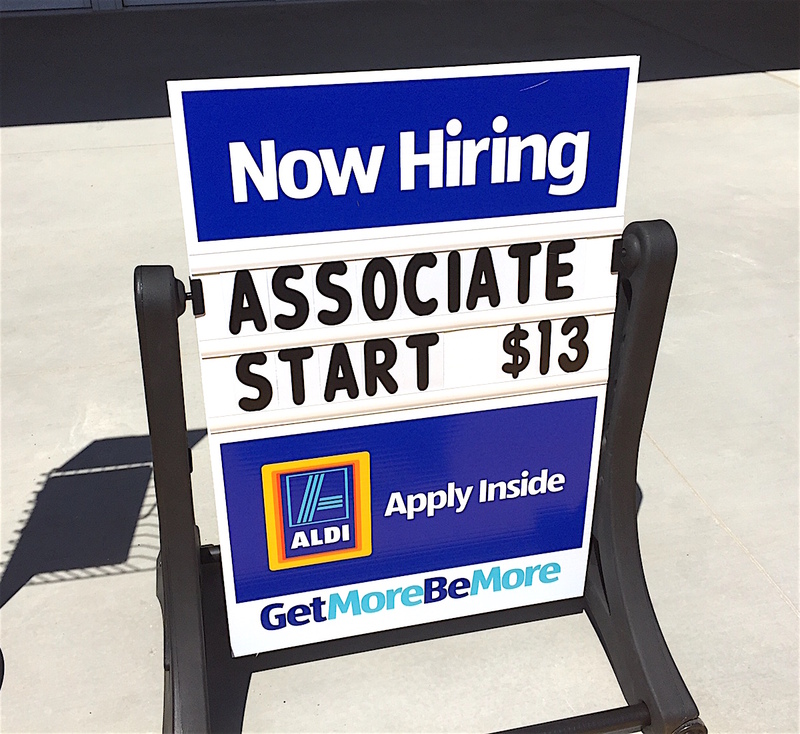 The Escondido store will employ about 19 people, according to Nesbit. Hiring event Wednesday, April 13 at 1750 University Avenue, North County Square, Vista. The retailer will have opened 45 stores by the end of the year in Southern California. “The Southern California store openings play a significant role in the company’s strategic plan to expand to nearly 2,000 ALDI stores from coast-to-coast by the end of 2018,” spokeswoman Eniko Bolivar said. U.S. headquarters are at a Chicago suburb. The company employs over 19,000 people. It’s investing $3 billion in the expansion effort, according to ALDI spokeswoman Liz Ruggles. The stores generally have five aisles in about 10,000-square-feet of retail selling space, Ruggles said. A traditional store, typically 50,000-square-feet, carries 30,000 to 40,000 products under a variety of labels. The stores in California will carry close to 100 farm-fresh fruits and vegetables from regional and local suppliers, Ruggles said. “Stores that carry wine and beer will have an expanded wine selection,” she said. New Aldi Escondido in progress. 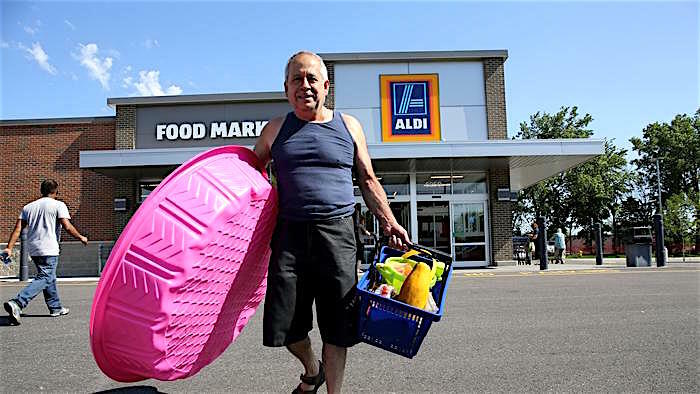 ALDI is kind of like the dearly departed Fresh & Easy with high quality low-cost food and sundry items, but with much better management, according to analysts. A typical store carries only the most commonly purchased grocery item, most of which are its high-quality brands. Smaller inventory means smaller stores, which leads to lower rent and electricity costs with savings passed on to customers. Store publicists said ALDI-exclusive brands save customers up to 50 percent over national brands on items they want to buy the most. Industry analyst David Livingston said ALDI forged trails across the Midwest decades ago as a discount grocery pioneer. So, how does it compete? 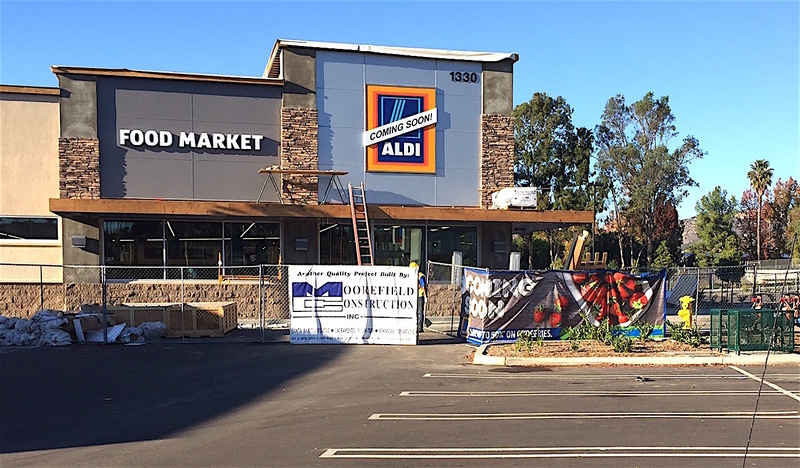 Aldi promises raffles and samples at a Dec. 15 open house at its new E. Valley Parkway store. The discount grocer landed in the U.S. in 1976 and grew steadily for decades. In 2014, the company began aggressively expanding, opening about 130 stores, a pace the company expects to continue until 2018. Hart said stores operated by the privately held company collectively muster annual sales increases in the high single digits for locations open at least a year. In comparison, Save-A-Lot reported a 3.6 percent rise and Kroger Co., parent of the Ralph’s chain, reported a 6 percent climb in same-store sales in the fourth quarter. Hart said ALDI has increasingly attracted more affluent customers who enjoy a good bargain. Over the years, its store designs have been upgraded. 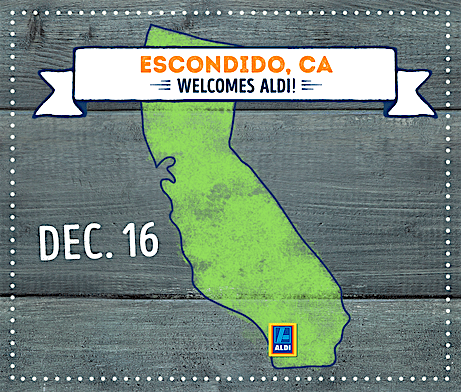 Be the first to comment on "Aldi set to open Escondido store Dec. 16"